Part of being a conscientious pet owner is considering the importance of spaying or neutering your furry friends. Read on for more information and the truth behind some common myths. Although it's commonly referred to as a spay, this surgery is actually a complete ovariohysterectomy, or the removal of both ovaries and the uterus. Spayed cats are at a much lower risk for ovarian cancers and cysts, mammary gland tumors, and uterine infections. Unspayed females are also more likely to exhibit inappropriate urine marking during their heat cycles- not to mention their aggravating wailing and crying to be let outside. The urge to reproduce is amazingly powerful in cats. Those of us who have endured the company of a cat in heat know all too well the origin of the term caterwauling! Neutering is the removal of both testicles. It sounds worse than it is- and no, he won't miss them! Neutered males are less susceptible to prostate disease and testicular cancer. 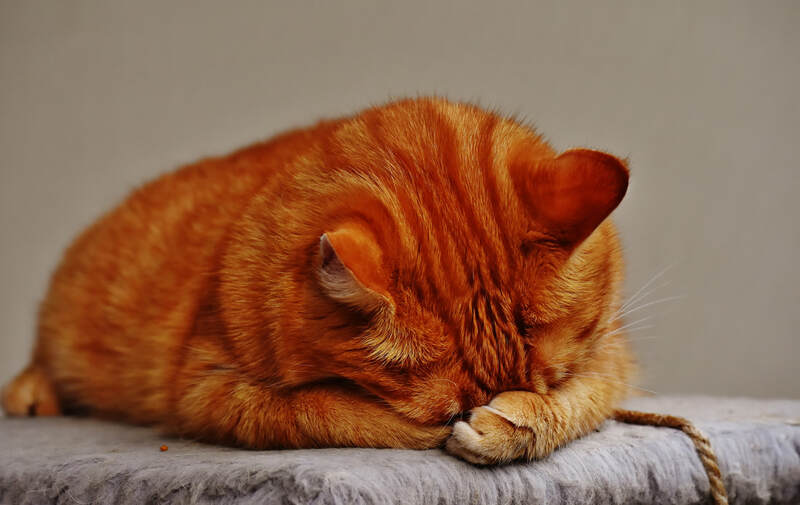 Castrated male cats are often more affectionate and people-oriented, and neutering your cat usually keeps him from spraying his objectionably strong-smelling urine in your home to mark his territory. Neutered males are also less likely to wander from home. Although it's commonly referred to as a spay, this surgery is actually a complete ovariohysterectomy, or the removal of both ovaries and the uterus. Spayed dogs are at a much lower risk for ovarian cancers and cysts, mammary gland tumors, and uterine infections. Neutering is the removal of both testicles. It sounds worse than it is- and no, he won't miss them! Neutered males are less susceptible to prostate disease and testicular cancer. They're also less likely to act aggressive or to wander away from home. MYTH: It is unhealthy or unethical to spay/neuter when my pet is young. FACT: Spaying and neutering is safe for young animals. There is no veterinary research that suggests spaying or neutering pets before six months of age interferes with development. Talk to your veterinarian to determine the best time to spay or neuter your pet. MYTH: My dog will no longer be a protective watch dog. FACT: Spaying or neutering does not affect a dogs natural instinct to protect its home and family. A dogs temperament is formed more by genetics. MYTH: My pet is just so special that I want puppies/kittiens to be just like them! FACT: Genetics are not an exact science and even professional breeders cannot guarantee how a litter will develop. The overpopulation problem will continue to grow on a slim chance you might get another animal that is just like the parent. MYTH: My male pet will feel like less of a male. FACT: Pets do not have any concept of masculinity. Neutering your male pet will not cause him to suffer and kind of emotional identity crisis, nor will it change his basic personality. Your pet will be a healthier companion. FACT: Spaying or neutering does not make pets fat or lazy. The truth is that pets get fat and lazy because they are fed too much and do not get enough exercise. MYTH: It is better to have one litter first. FACT: Females spayed before their first heat cycle are typically healthier. Every time a female pet goes through a heat cycle she is at an increased risk for breast and uterine infections. Spaying and neutering is good for you, your pet, and the community! Spaying and neutering can eliminate or reduce the incidence of health problems that can be very difficult or expensive to treat. Spaying eliminates the possibility of uterine or ovarian cancer and greatly reduces the incidence of breast cancer. Spaying or neutering makes pets better, more affectionate companions. Neutering cats makes them less likely to spray or mark territory.